Once upon a time there was the story of Susan, the soccer mom who fell into a portal and entered another world, only to find out that she had new talents given to her by The One to bless His people. Then there was Kieran, an unlikely hero who had questions at every turn. 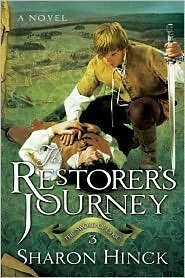 Now The Sword of Lyric series continues with its third book, and a brand new Restorer on the scene: Susan's 18-year-old son Jake. Because Jake has not been long with the People of the Verses, he often stumbles his way through things, unintentionally making them much harder than they could be. Due to his past exposure to Rhusican poisoning he is also extra susceptible to the new power controlling the capital city of Lyric. Jake isn't sure who to trust with the news that he has Restorer signs, nor what The One would have him to do. Most people think him a naive blunderer at best, if not an outright traitor. But The One does have a purpose, and slowly Jake learns to listen and trust Him. Meanwhile Susan has been kidnapped and taken to Rhus, where the mind poisoners are trying their best to take everything from her. Her imprisonment threatens to shake the foundation of her faith. Can The One find her even in Rhus? Is it possible His love can reach her and reach these people who live off the torment of others? This is such a great series. Captivating, easy to read, with great spiritual truths woven throughout. I can't wait to read the final book in the series, which was released seven years after this one and not on my radar until recently. I hope it wraps things up nicely! Kieran of Braide Wood never expected to be the next Restorer. He seems the least qualified - he's half Hazorite, he isn't sure he completely believes in The One, and his relationships with his family are complicated. Plus he's just been banished from the clans! Where is The One and what is He thinking?! Meanwhile Susan returns to this other world when she discovers that her son Jake has found the portal. As she and her husband frantically track their 18-year-old, they worry that he has fallen into the hands of the Council and is being manipulated for nefarious purposes. I really relate to much of Kieran's internal struggle. On page 58 Kieran muses: "How did [Susan] contain the horrible anger at being chosen for something she didn't want to do?" Yes indeed. Many times what God calls us to do is so wonderful that it takes our breath away. But sometimes it's so hard that all we can do is fall on Him and trust that He knows what He is doing because we certainly can't see how it is going to work out. Sometimes there's anger and questioning and tears. This is a path I'm familiar with, too. Kieran is about to have an encounter with The One that will forever change his life and and the shape of his future. The One makes no mistakes. He's not looking for amazing people, he's looking for amazing obedience. Like Kieran in Chapter 29, we may find that "He wouldn't release me from this path, but He understood my struggle. ... It was enough." It turns out that Kieran is one of my favorite literary heroes. As I said in my review of the first book of this series, I do not read much fantasy, but these have captured my heart in a special way and I know there will be more rereads of them in the future! Susan Mitchell is a suburban mom of four who is burnt out and feeling defeated. Her husband builds her a little getaway in their attic - enough space for a desk and a comfy chair, with strict instructions to the children that this is Mom's personal space. When Mark takes the kids to the park, Susan heads up to the attic ready to be refreshed and renewed. Instead, Susan stumbles through a portal and finds herself in another world. A world without modern technology or comforts, with strange customs and traditions of its own. These people call God 'the One' and follow 'the Verses,' making their faith is similar to Susan's own, which is a strength as she learns to navigate life in this strange place. It is quickly discovered that Susan possesses special gifts promised to the Restorer - someone the One will raise up in times of great need to turn the hearts of the people back to the Verses. Susan feels ill equipped to be the Restorer when she doesn't know anything about the great needs facing these people! How could God have called her to this? Yet if this is His task for her, she wants to be faithful. The people in this new world face attacks from their enemies, corruption in their Counsel, and despair from those spreading lies of hopelessness. There's plenty of adventure as Susan and her new friends seek to win these battles with the help of the One, and she wonders if He will ever allow her to return to her own home and family. I do not read much fantasy, because I often find it hard to get into new worlds. With this story, however, Susan is as new to this place as we are, so the pacing and world-building seems very natural, quick, easy to follow. I love these books and am looking forward to rereading more in the series! 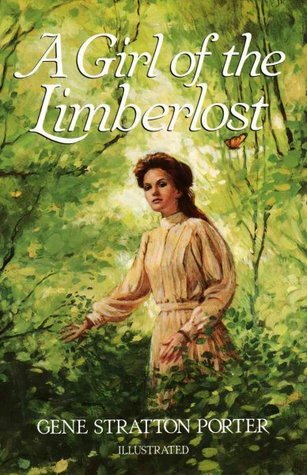 First published in 1909, "A Girl of the Limberlost" bring us the story of Elnora, a sweet and industrious young lady living near the marshy swamps of eastern Indiana. We meet her on her first day of high school, as she makes the trek into a nearby city and discovers just how backwoods she looks and how cruel the other students can be. There's also unexpected expenses with no easy way to meet them. Heartbroken and feeling like her dreams of getting an education will never come true, neighbors rally around Elnora and she finds ways to earn money by collecting moths and nature specimens from the woods surrounding her home. Our fatherless heroine has an uneasy relationship with her mother through the first part of the story. Katharine blames Elnora for her husband's death and has never been a supportive parent. But Katharine has a wonderful redemptive arc over the course of the novel and becomes a character you can cheer for and love. Covering more than five years, we see Elnora grow into a woman of assurance and grace, dealing with both triumphs and disappointments. When she meets Philip Ammon, a young lawyer sent out of the city to recover his health, Elnora finds herself falling for him even though he's engaged to a girl back home. Her loyalty to doing the right thing is strong, no matter the personal cost. There's a lot about courage and conviction we can learn from this heroine! This book and I have a wonderful history together. It was actually one of my grandmother's favorite books and she was my first introduction to it. I've read it many times through the years, and this go-around I took part in a group read where we discussed and dissected the characters and plot. What fun! I loved every minute of it. I'm thankful for classic literature and good friends who share the enjoyment of it. Picking up seven years after the events of the previous novel, friends from all over the country come together to throw Stuart Brannon a surprise 40th birthday party. It's a trip down memory lane as many major characters from the series come to visit. But the party comes to a screeching halt when it is crashed by a 12-year-old Indian boy claiming that Stuart Brannon is his father. Knowing the child is the baby who was born in "Hard Winter at Broken Arrow Crossing," Brannon doesn't know why Elizabeth has told her son he's his father, but after years of trying to find Elizabeth after the government has relocated her tribe numerous times, Stuart intends to keep up the ruse until he can see his friend and ask her himself. Brannon and Littlefoot begin the dusty journey to find Elizabeth in Utah and soon realize they are being followed by an old nemesis from Stuart's years in Colorado. After more than a little danger and a few bouts of misdirection they reach Elizabeth, and Littlefoot goes a little crazy when he discovers that not only is Stuart not his father, he's actually the man who killed his outlaw parent. Elizabeth's weakness from late stage tuberculosis is a major consideration as they attempt to evade the gunfighter still hunting their trail and make their way back to Brannon's Arizona ranch. Through battles, mistaken identity, the help of friends, and deep sorrow, Brannon and Littlefoot begin forming a bond that brings the past 14 years of Stuart's life full circle. It is in Littlefoot that Brannon begins to see some of the pain of his past redeemed and his lonely days made hopeful. This original ending of the Stuart Brannon series is full of adventure, retrospection, and musings on how God works in the lives of His children. Stuart Brannon's name is beginning to be recognized everywhere, thanks to the dime novels which have been written about his adventures. Brannon's quest is still to settle down to a quiet ranch life, but his trip down to Mexico to buy cattle from his friends Senor and Senora Pacifica is complicated when he arrives to discover the Senora a widow and her entire herd stolen. Attempting to regain the cattle, Brannon takes off across the Sonoran Desert in search of the ruthless marauders. Not one to give up easily, the disgruntled leader of the outlaws begins taking Brannon's friends captive in hopes that Stuart will choose to save human lives and let him keep the herd. But Brannon has never let any challenge stop him from pursuing what is right, and he's not about to start now. Not against cattle thieves, and not against the Apache Indians which are in the area. All the while Brannon's heart is being drawn to Senora Pacifica in a way he hasn't felt in a long time. She understands him, even the deep pain of loss which has been kept so close inside him. Will Brannon finally choose to open himself up to love again? Will he even have the opportunity to make that choice when this latest whirlwind settles? On a personal note, I think this is my favorite cover out of the new Greenbrier editions. I just love the beautiful sage green, and the pictures are apropos to the storyline. There's only one of the original Stuart Brannon novels left after this one, and then on to final sequel which was begun by Stephen Bly and finished by his family after his death. This ride will be coming to a conclusion all too soon! It has been a good one. After many adventures in Colorado and New Mexico, Stuart Brannon arrives home in Arizona at last. His first stop is to pick up his mail in Prescott and spend time with friends, including the intriguing Miss Harriet Reed, who has decided that she will be the one to capture this widower's heart. But on Brannon's first night in town the dinner in his honor goes horribly wrong when a young woman named Julie takes a bullet meant for Stuart, and he visits her often in the early days of her recovery. Then it's time to go back to his ranch and begin rebuilding a simple life on the range. Except Stuart Brannon's life is never simple. 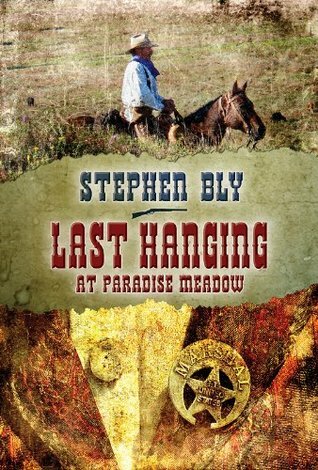 When he finally sets foot again on his Triple B Ranch, he is disturbed to find his place occupied as headquarters for the Casa Verde Land Corporation, who claims a right to be there because of a Spanish land grant. Knowing that such a grant has not been approved by Congress, Brannon manages to fight his way to possession of his own property, but the CVL promises it will be back with more men to evict him for good. While awaiting the CVL's return and healing from injuries sustained during the reclaiming of his home, Brannon becomes host to several visitors, including a small troop of soldiers who are in the area to look for suspicious Apache activity, as well as friends from Prescott, Harriet and Julie among them. With dangers from Indians and the threat of a siege by the CVL, Brannon and company must outwit and outmaneuver them all if they hope to stay alive and make sure the ranch is still standing when all is said and done. He's spent years fighting battles for other people, and now Brannon has a fight that is all his own. His ranch holds all his dreams for the future, as well as the heartbreak of the past. He longs for the quiet rancher's life and believes he is not a violent man, but trouble seems to follow him everywhere. 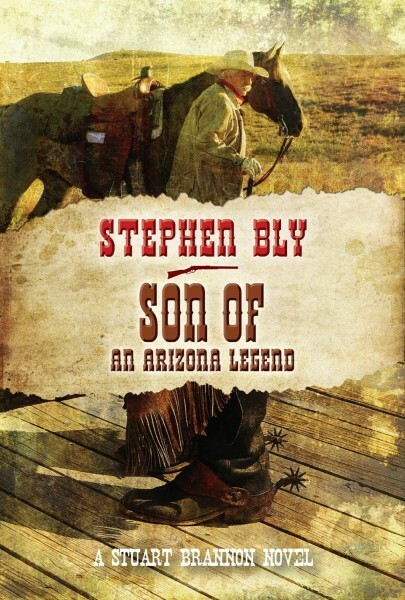 Soon this conflict attracts the attention of the whole territory, and everyone is watching to see if Stuart Brannon will be able to win the Yavapai County War and the freedom to rebuild his life on his own property. Find your copy of this adventure to see for yourself how Brannon's home and heart fare through this latest set of challenges. All Stuart Brannon wanted to do was ride into town, deliver something to Peter Mulroney, and finally head back to his ranch in Arizona. Instead he arrives at Broken Arrow Crossing, now renamed Paradise Meadow, to find Peter in jail for a murder he didn't commit and the city about to implode under corrupt leadership. Unable to stand by when there are good people in need of help, Brannon soon finds himself in the middle of the conflict. A point of view character in this novel is Rose Creek, a schoolteacher of Cherokee descent trying to make her stand in Paradise Meadow. Ever since she spoke out publicly against the town's self-appointed mayor, Rose has been losing students and being pressured to move on. When Peter Mulroney is jailed, he asks Rose to take care of his three children and to try to find Stuart Brannon for help in this unjust situation. When Rose does meet Brannon for the first time they get off on the wrong foot, and she thinks he is a heedless, irresponsible man more likely to add to the problem than aid it. As the decent citizens in Paradise Meadow begin banding together to fight against Mayor Rutherford, Brannon fears vigilante justice will result. Good people are so upset at the mistreatment they have suffered that they are more set on revenge than doing what is right. Brannon, Creek, and a few others try to remain impartial and hold things together, but as events unfold their lives and safety may just be threatened by the very people they are trying to protect. When right and wrong turn upside down a lot of bad choices can be made, and eventually any good outcome becomes questionable. This novel puts our humanity into check and reminds us that our values must align with God's or they will lead to destruction. Can Paradise Meadow survive? Eventually the citizens themselves will be the deciding factor. This third Stuart Brannon novel is full of memorable characters and page-turning action. Riding the trail with Stuart Brannon is never, ever boring! Stuart Brannon tries his hand at prospecting in the second book of the series that bears his name. 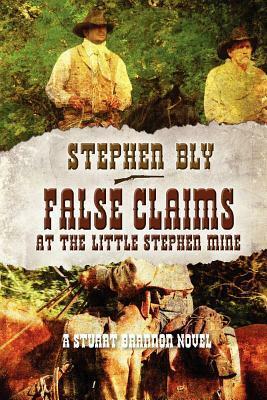 After the events of the first book, Brannon and his British friend Edwin Fletcher are still in the Colorado mountains, working hard to dig out a little gold from their mine. While Brannon's simple goal is to make enough money to finance a return to his Arizona ranch, little do they suspect their quiet location will soon be the center of multiple disputes and battles. Challenging Brannon and Fletcher's claim to the land is Abner Cheney, who says the government gave him the right to the whole mountain because of the railroad he intends to put in. Cheney's former clerk Waldo Vance has also taken it into his head to usurp Cheney and take over the mine for himself. 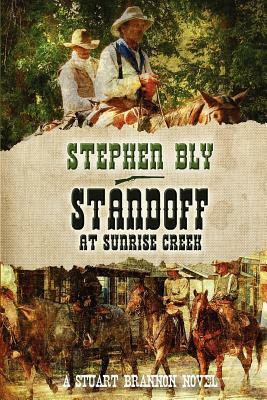 The warring factions come against each other as well as Stuart and friends, bringing in both lawmen and gunfighters to help persuade Brannon and Fletcher to desert their post. Meanwhile Brannon strikes up an unexpected alliance with three Ute Indians, and faces another challenge when Velvet Wendell inherits one-fourth of their mine after Everett Davis's death. Brannon doesn't think that prospecting is any kind of life for a woman, but Velvet insists that she can pull her weight and that she deserves the chance to find some security after a life full of heartache. The question Brannon must ask himself over the course of these struggles is what is right in any given situation. Is their claim on the mine legitimate? How do you avoid revenge while seeking justice? Is his own stubbornness and greed getting in the way of the truth? It's a time of growth for the man who so newly found his faith. The fast-paced adventure will keep you turning pages until you reach the unexpected conclusion. Be watching out for more reviews from the Stuart Brannon Series in the near future! When cold weather comes and the holidays arrive, I find myself drawn to reread favorite books from my youth. This was especially true this year, as I ran across my copy of Stephen Bly's final book, the one that he was writing when he died and which his family finished and published for him posthumously. Up until now I hadn't been able to bring myself to read it, but this time when I saw the cover I realized I was ready for another Bly adventure. But you can't just pick up and read Book 7 in a series which you have revisited in years, so back to the beginning I went. Back to where Stuart Brannon first met the literary world. A broken man after losing everything he held dear, Brannon leaves his Arizona ranch to accept an invitation to join his friend Charley in the Colorado goldfields. 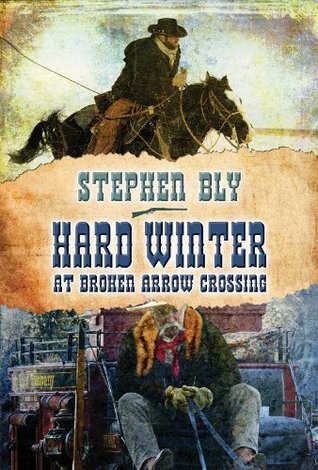 During a blizzard he stumbles into the remote stage station at Broken Arrow Crossing, which has been all but abandoned for the winter, just as a claim jumper attacks the place looking for a map to Charley's mine. His horse stolen by the less than scrupulous fellow, Brannon finds himself a stranded nursemaid to old propsector and station manager Everett Davis, who was injured in the conflict. Davis informs him that Charley has died after spreading word around the area that he had struck it rich. With no way out of the mountains, Brannon settles in for what he figures will be a quiet winter at the station. He couldn't have been more wrong. On Christmas Eve a pregnant Indian girl finds herself on their doorstep, having run away from the man who mistreated her. Soon her baby arrives, bringing both hope and reflection to the isolated cabin. Just a few days later their world is again interrupted, this time by a group who was traveling through the area in hopes of being the first settlers in a goldfield community. As they were dangerously turned around during the snowstorms, Brannon must help locate and recover all members of the party. It won't be easy, as there is an Indian hunting party nearby, as well as a gang of outlaw brothers who are also seeking to find the gold mine. While fighting for the survival of the whole ragtag group, Stuart struggles to come to terms with his own past and the way he feels about God. Having always kept his distance from the Almighty, especially after the tragedies in Arizona, Brannon finds it hard to believe that God could truly care about him and the others stranded at Broken Arrow Crossing. As the long winter unfolds into an early spring showdown, Brannon's understanding of an all-wise, merciful God is opened. It's a joy to revisit this series, first published in the early 1990s by Crossway and reprinted by Greenbrier in 2012. I can still hear my father's voice reading these books aloud to my siblings and me many years ago. Stuart Brannon is an old friend and it feels good to be back in the saddle with him again! I'll never forget the day in June 2004 in Pryor, OK, when I brought this book home from the library by accident. By accident. Look at that bright cover! I don't know how it was possible that I took it off the shelf, walked it up to the desk to check out, brought it out to the car, and drove it all the way home before I realized which book it was. I had thought I picked up the Terri Blackstock novel next to it. But home was 15 miles away from the library and I had no reason to go back and exchange it. I might as well read it, right? Even though the back cover copy made me groan: "Jay Jarvis just moved east. His dating life's gone south. What else is a guy to do but go fishing?" Now I'm not sure how well you know me, but that doesn't sound like me at all. What I didn't know then was that God had arranged to get this book in my hands, and that it would be exactly what I needed. In this zany tale, Jay Jarvis has just completed a work relocation to South Carolina. In order to meet eligible females, he decides to start attending church, even though that is not something he has ever done before. His eye is immediately caught by unassuming Allie, a young missionary home on furlough. When he hears that Allie is helping plan the singles' retreat to the beach, he decides to join in and hopes to spend time with her. As Jay becomes more involved in the church, he meets all varieties of Christians: the hospitable ones, the legalistic ones, the secretive ones, the eccentric ones, and more. But he soon recognizes that they possess something inside of them that he does not, and he's pretty sure he wants whatever it is. When Jay does come face to face with Jesus, he realizes that it has been God orchestrating these events all along. And as Allie is known to say, "God often has very different plans than what our earthly brains think is best for us." As the book continues, Jay seeks God's will for his life, his job, his relationships, and his location... and is flabbergasted by God's plans. When I first read this book I was very much in a place of transition. 2004 was the year we lived in four different states. I didn't know what God was doing in my life, and I certainly had no idea what was around the corner, or that it would be as blessed as it has been. 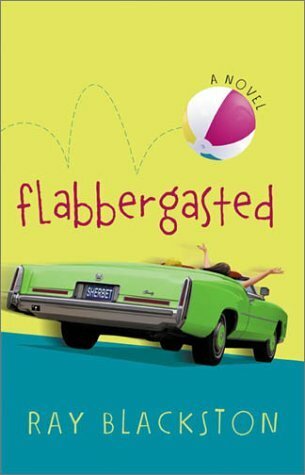 This book is laugh-out-loud funny and you'll never think of the color lime green the same way again. It was a bright spot in an uncertain time, and was an encouragement to my spirit. Now I've had the chance to be flabbergasted myself at God's work in my life, and I still love Jay Jarvis and the part he played in my journey. That was why I chose to do this 10th Anniversary reread, although it's far from the first time I've opened its pages again. I've bought this book in paperback and hardback. I've bought the audiobook. I have it on my Kindle, too! Ray Blackston's debut (and best!) novel shines in all mediums. It will never stop being one of my favorite stories. Kate as a hostage negotiator; Marcus as a U.S. Marshal; Lisa as a forensic pathologist; Jack as a firefighter; Rachel as a trauma counselor; and Stephen as an EMT. But through them all, it was Jennifer's story which claimed the prominent subplot. Now Jennifer, the youngest of the family, finally gets her own story in this prequel novella. "Jennifer: An O'Malley Love Story" introduces us to this caring pediatric doctor at a time when her life is wrapped up in caring for her patients. She's surprised when surgeon Tom Peterson takes an interest in her, and they become fast friends. There's a lot about Tom that draws Jennifer to him, but some things about him she doesn't understand at all, like his faith. Beginning to care deeply for him, she agrees to take a look at the Bible and see if she can discover the amazing love of God for herself. This novella is full of Dee Henderson's signature writing style, and she does a great job getting this story, which goes on to be carried through the rest of the books, off the ground. I feel that to discuss the plot more would give too much away, but let me say that this has made me interested in picking up the other O'Malleys off my shelf and giving them a reread. While I'm at it, I shouldn't forget to mention the other O'Malley prequel, "Danger in the Shadows," which is an excellent suspense story with just the right amount of scary to keep you up all night. "Jennifer" is a gentle story, and one I'd encourage anyone to check out if they wanted to be introduced to the O'Malley clan. 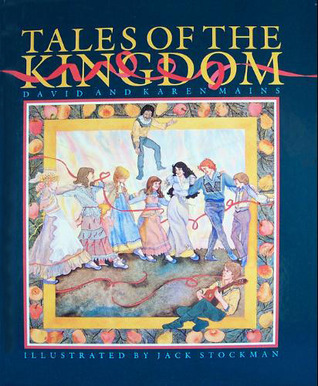 In this sequel to the beloved allegory "Tales of the Kingdom," our main character, Hero, is leaving the safety of Great Park to follow the King to the dark world of Enchanted City. It is almost time for the restoration of the kingdom, and there is work to do in preparing the hearts of those still enslaved to the Enchanter. Hero has grown since he was a scared boy fleeing for his freedom, but he will be challenged again in being a missionary in the world that left once him scarred and lonely. There are many working for the King in a hidden capacity. Hero discovers and joins the Taxi Resistance, led by mastermind Big Operator, who runs daring rescue missions for those most in need of protection from the Enchanter. They challenge his heralds by honking to confirm whether the news proclaimed throughout the city is true or false. They run back-up for those who scout the streets and are in greater danger of being discovered. The King Himself is present in Enchated City, calling unto Himself those who are unloved and trapped and forsaken. The Enchanter grows angry and more desperate to capture this upstart challenger. Then comes the black night when the King is arrested and put on trial. When it appears evil will triumph, the restoration is nearer than any of his followers can guess. This winter I read these stories to my young Wednesday night Bible class, drawing out Biblical insights from each chapter. There were some chapters that I skipped over, feeling them a little bleaker than my 1st-3rd graders needed to dwell upon, but each one is good and full of truth. Maybe someday we will get back to the third book, "Tales of the Restoration," but for now we're taking a break from allegories and getting back to straight Bible stories. I believe these books gave the children some good things to think about, and they remain a much-loved part of my own childhood reading memories. These classic allegorical tales are ones I grew up reading, and they continue to be meaningful to me now as an adult and someone who can share them with the children around me. I have just taken my Wed. night Bible class of 1st - 3rd graders through this book and they all became fans. It is easy to draw out Biblical truths from each chapter that can be applied for young ones and grown ups alike! The 12 chapters tell the story of Hero, a young man who escaped with his brother from the wicked Enchanted City. Taking refuge in Great Park, his world is changed by those who love and serve a King he has never seen. He lives with funny old Caretaker, who can control the weather and create new life, and his gentle wife Mercie. Hero struggles because he cannot see the King and does not understand this love all around him. Other stories involve Princess Amanda, a girl who has the uncanny gift of seeing. But gifted ones can still fall prey to temptation and see disastrous consequences. We also learn about a juggler whose count is different than those around him, the baker who loved bread, two noisy knights, and a girl named Dirty. Each one is meaningful, entertaining, and challenging for the readers. 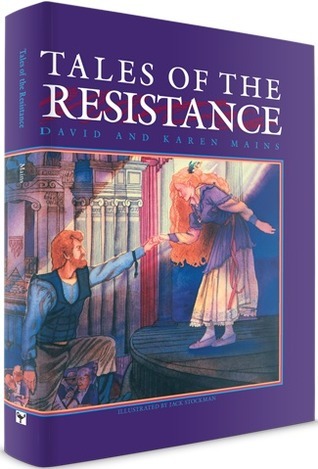 We are taking off on the second book in this series, "Tales of the Resistance," next in our class, so be watching for its review in a couple months! In May 2009 I read my first book by T.L. Higley, called "Shadow of Colossus." Three and a half years later, "Isle of Shadows" is the revised and updated version under a new publisher. I have really loved each of Tracy's Seven Wonders novels, and I was very excited to have the opportunity to go back to the island of Rhodes and 227 BC. Tessa of Delos is a hetaera, a political consort to one of the most powerful men on the island. She's a possession, with a heart which wants to be stone in order to escape the pain of years of being used for the gain of others. Just when she's ready to end it all, an accident allows her a glimmer of freedom. It will require the greatest performance of her life, and require her to trust, which might be more difficult than fooling the rest of the world. Nikos has come to Rhodes to spy out the political scene for the father he only recently came to know. His mission quickly becomes derailed by unfolding events, and his heart entangled by the beautiful but hard woman he is coming to know. Spiro is hungry for power and will stop at nothing to gain control of the island. Simeon is a humble and loyal servant who wants to see Tessa's heart freed by the power of the One True God his forefathers have worshipped for centuries. These men will help shape Tessa's future, for good or bad. When I read the book three years ago, I noted that its weakest point was the technical aspect of the novel. The revision has completely taken care of this issue! The flow was smooth and the characters even more engaging than I recall. The plot is full of twists to keep you guessing, and I found the number of references of the Colossus to be perfect. In short, I enjoyed this even more than I did before, and its update accurately conveys the growth I had observed in Higley's more recent releases. This book released today and is available at all your major book outlets. I received my copy from BookSneeze in exchange for this honest review. All opinions are my own. My choice for my personal memorial to Stephen Bly was what I consider one of his funniest books. Identity theft was alive and well in the Old West... who needed a computer or the internet in those days? Tap Andrews is on the run for a crime he didn't commit. Catching a stage out of Arizona seemed like a good idea, until they were ambushed in an Indian attack. Among the wounded was Zachariah Hatcher, a man with a bright future ahead of him. He had just bought a ranch in Colorado and was on his way to meet his fiancee, whom he only knew through the letters they had exchanged. When it becomes clear Zach isn't going to make it, he asks Tap to deliver the news to his Miss Cedar. But when Tap gets mistaken for Zach on the trail, he begins to think it might not be a bad thing to slip into Hatcher's identity. It has to be worth a shot, at least. Pepper Paige is fed up with life. Tough breaks required her to work in a dance hall and she's never been able to escape. Finding herself the favorite of a rough outlaw is pushing her over the edge. She is forced out of work one evening to care for a woman badly injured in a stage accident. While watching over her unconscious patient, Pepper looks through her things in order to discover her identity and finds out that Suzanne Cedar is on her way to meet her fiance, whom she has never met. When Suzanne does pass away, Pepper decides that they look enough alike that assuming Miss Cedar's life might just be her ticket out of her living nightmare. When Tap and Pepper meet, they are both pretending and both worried that the other will see through them. They're in a rush to get married and officially start their new lives. When circumstances arise to push the wedding off for a while, the Lord starts working on both of their hearts about the deception they find themselves in. They are in for encounters with an Almighty God which may turn their lives around even more than that which they are seeking. There are horseback rides, gun fights, romance, humor, faith, and unexpected turns. Just what every good western needs! 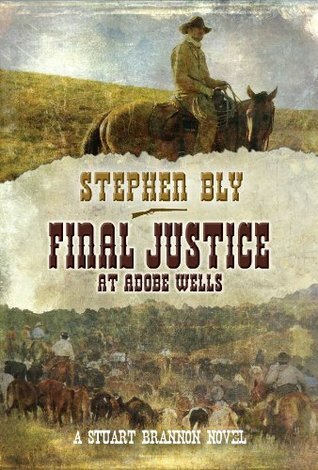 Stephen Bly brought us the west in a unique way, as it seems all of his stories are related to the other. You never know when heroes or heroines from other series are going to pop up or be mentiond in conversation. It's a whole world within a world kind of thing. If you'd like to check out other books by Bly but aren't sure where to start, I'd say with the Stuart Brannon Westerns. If you're looking for young adult fiction, I absolutely love the Lewis & Clark Squad stories. For something contemporary and with a female lead, try the Horse Dreams Trilogy. Those are the ones that I always come back to and do not leave disappointed. May you have happy reading adventures as well! Stephen Bly was my first favorite author. I was very sad when I heard recently that he passed away last summer. I have so many great memories of turning page after page as Steve led us on adventure upon adventure. It was strange to hear of his death, because I was looking forward to his upcoming release (which I have since found out was finished by his family) and adding some of my favorites among his novels to my personal bookshelf. Since he had been so recently on my mind, it seemed extra sorrowful to realize that he has now penned his last words. My sister and I both decided to read at least one of his novels as our own personal memorial to this noteworthy author. I have been reading Stephen Bly books for at least 20 years. I can trace part of my love for historical fiction back to those days of reading his novels as a preteen. There's not a shortage of Bly-based memories, either, as I counted on Steve & Janet's website yesterday and the current count of Bly books I've read is 56. Fifty-six! That's a lot of moments laughing out loud, a few tears shed, and innumerable hours on various literary trails. To honor this man who has been such a part of my reading life, I present to you this list. Some are funny, most are serious, and I hope they will bring a smile to your face. 1. Dreams are worth pursuing, no matter how young or old you are. 2. Some things are worth dying or taking a bullet for: your home, you friends, your faith and your family. 3. Children are precocious and need adults to take them seriously. 4. Seek justice. Live justly. 5. God can change even the darkest heart. 6. Every woman is worthy of protection and respect, no matter her background or situation. 7. Something is sure to go wrong on a wedding day. 8. Cowboys and silk shirts do not mix well. 9. True friends will stick with you and be part of your life for years to come. 10. The main men in your life will often be a little sweaty, a little dirty, and in need of a shave. 11. Orange popsicles will always make you feel like a kid. 12. Love does not always happen at first sight -- or first fight! 13. Laughter brightens tough days on the trails of life. 14. A relationship with God can be as natural as breathing. 15. Real heroes are the ones who make a difference in the lives of others. I had always assumed I'd get to meet Steve in person some day, since I've had the privilege of meeting some others whose written words have inspired me. Now that he's passed on that meeting will have to be postponed until Heaven. There will still come a day when we get to exchange howdies... it will just be a cloudless, perfect day and part of a better adventure than we can ever dream of now! If you have ever wondered if there is more to the Christian life than what you have now, this could be the book for you! It is one woman's journey to an alive relationship with God - and she doesn't want to see anyone settle for less. I thought it was balanced with wisdom, and I love how she stressed that knowing your Bible is the very first key to knowing God. I believe God still does speak to His believers today and it was nice to read a supporting opinion on the subject. If you could take a moment and rank this review, it would be much appreciated. Click here! #1 "When the Heart Cries"
I had picked up this book on a trusted friend's review that Woodsmall's writing was superb. I had no idea what the story was about and was truly shocked and caught off guard at the early tragic twist. As the story progressed I wished, as I often do in stories which start with a horrible event, that I had been given the chance to get to know the main character before this crisis of faith and personality. This is a gripping story which is emotionally strong and I found it hard to put down. The wri...moreI had picked up this book on a trusted friend's review that Woodsmall's writing was superb. I had no idea what the story was about and was truly shocked and caught off guard at the early tragic twist. Hannah Lapp's world seems to just be coming together when it is violently ripped apart. As the story progressed I wished, as I often do in stories which start with a horrible event, that I had been given the chance to get to know the main character before this crisis of faith and personality. This is a gripping story which is emotionally strong and I found it hard to put down. The writing was as good as advertised and I was glad I had the sequel within reach when I finished it! #2 "When the Morning Comes"
This book was quite a bit different than the first in the way it was paced. The first one takes place over 6 months and the heroine is in crisis mode the whole time; this second one takes place over almost 3 years and she is mostly at peace as she pursues her new life. The story is still very interesting and compelling and I can't wait to see what happens in the third book! Excellent writing, though deals with several sensitive subjects and would not recommend it for younger readers. #3 "When the Soul Mends"
When I finished the second book in this series, I thought the third one was going to be so predictable. I was wrong! The plot kept going deeper as Hannah confronts her past, surprised at the amount of anger and hurt that is still in her heart even with the healing she's gone through. Can she truly forgive? Not your typical Amish story by a long shot! The choices which face Hannah make this a real page-turner and a satisfying conclusion to the series.